Todd Romaine and his brother Steve flew into Bangkok after midnight. They stood outside the airport for 20 minutes, quizzing taxi drivers about their rates, which were suspiciously higher than the last time they had visited. In fact, they had seemingly doubled. 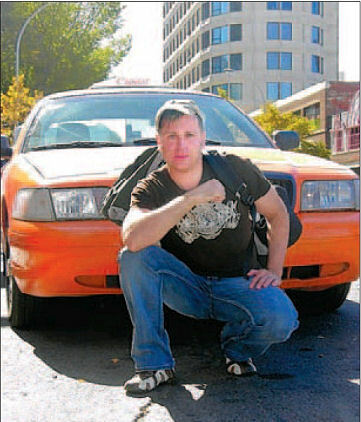 Todd Romaine and his brother have started a website that lists typical cab fares and offers guidelines on tipping. "At the time, we knew we were getting ripped off but we were too tired to fight it," recalls Todd. The Romaines got taken for a ride, both literally and figuratively. But a strong feeling was germinating inside of Todd: he hated taxis. Sound familiar? "The reality is that people are getting scammed all the time all over the world," says Todd. "You're in a vulnerable state, you're sleep-deprived and by default you always take a taxi." So the brothers, who have cumulatively travelled to a total of 50 countries, decided to do something about it. On Sept. 1, they launched www.ihatetaxis.com, a website designed to help travellers avoid transport scams at arrival points (airports, ferry terminals, train stations) around the world. The site, which can be accessed on the fly via cellphone or BlackBerry, currently covers 211 airports in more than 100 countries, including the major tourist destinations. In the taxi category, www.ihatetaxis.com lists typical fares to downtown, suggested tipping practices and exposes risks that are specific to those locations. "If you go to Windhoek, Namibia, don't take an unauthorized taxi cab because there's a good chance you can be taken to an off-road location and robbed," says Todd, who lives in Edmonton. Steve resides in Victoria. "Or you arrive at a destination, you have no idea where you're going, and they take you on a long junket around the city." Todd says the worst part is that a taxi scam is usually the first impression a traveller gets of a new city. Then they spend the rest of their trip wondering who else is being slimy and dishonest. While it's more likely to happen in less developed places, you can't let your guard down just because you're in a western country. "I've been ripped off in places like Regina," says Todd. Alternatives such as trains, shuttles, buses, limos and rental cars are explored on the site. Also, the brothers have corralled a host of other useful travel tidbits such as exchange rates, country profiles and visa requirements. The Romaines aren't telling you to avoid taxis altogether. They only hate the bad guys who use taxis to take advantage of helpless tourists. "We look at four criteria: it's got to be efficient, cost-effective, good for the environment and safe," Todd says. The brothers hope www.ihatetaxis.com will serve as a citizen's taxi police force of sorts. "If more travellers know the going rates, they can challenge these people and keep them honest."